Rides | Bicycle Wagga Wagga Inc. 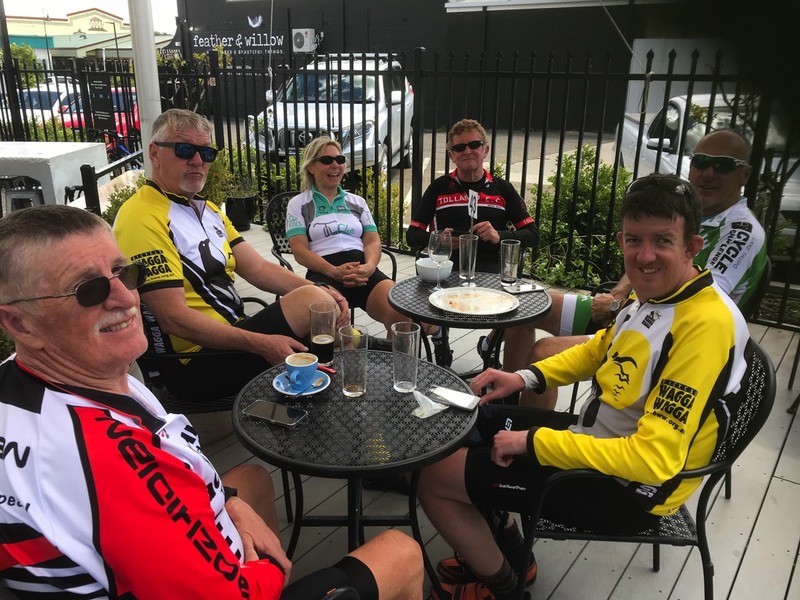 Details about our Regular Rides can be found by clicking the link. All persons joining these rides do so as volunteers in all respects and as such accept sole responsibility for any injury howsoever incurred and Bicycle Wagga Wagga and the appointed Ride Leaders cannot be held liable in respect of any injury or damage resulting from the participant engaging in any such ride activity. No-one gets left behind: on the out and back or loop rides there is always 2 riders at the back and on the long rides the peloton generally rides together or in smaller groups depending upon the numbers involved. If in doubt about the suitability of a ride, please contact Emilie Graham, on 0409 317 395 in advance. 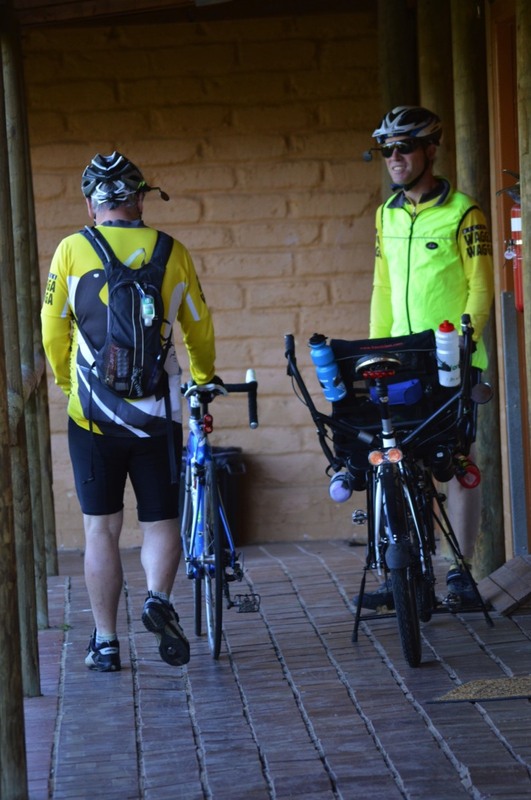 BWW annually have a number of weekend rides which involve riding to other towns in the district and sometimes staying overnight. With support you can ride all the way or part of the way depending on how you feel. Photos from the End of Year Rides at Ovens in Victoria. Since 1999 on the second Sunday in October BWW has run the Canola Canter. 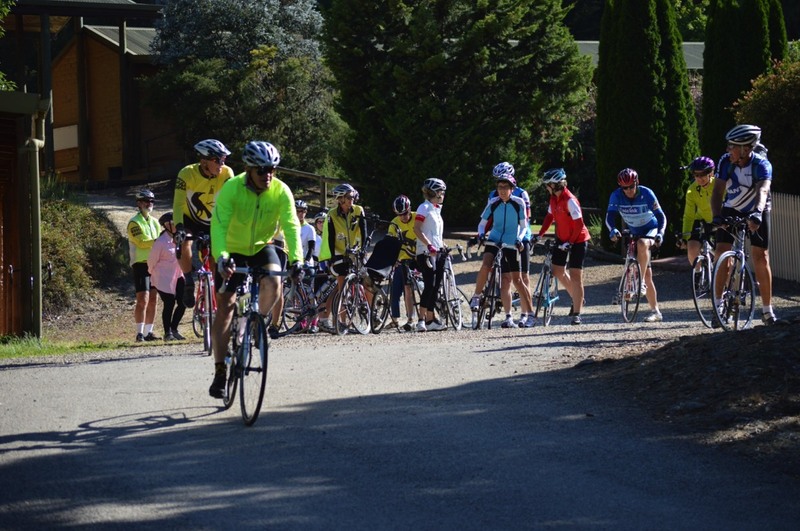 The Canola Canter is conducted under the rules of the Audax Club of Australia. These non-competitive rides involve riding a set distance within a time limit. Distances of 50km, 100km, 150km and 200km are available as road rides with a 50km mixed terrain ride also being offered. 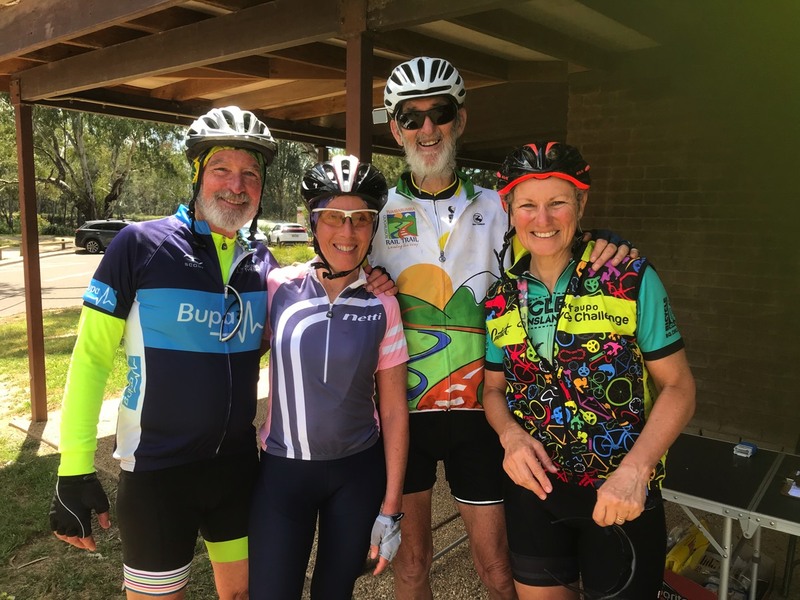 The 50km MT riders enjoy a chat and a beverage of choice with Ron Addison who did the 100km road ride and Margo McFadden who missed the ride because she was running a 'She Rides' session hopefully preparing some ladies for next year's edition of the Canola Canter. The final group of successful 100km riders back at the Wagga Beach. Max Hosgood, Wendy Smith, Lindsay Wilson and Roberta Bailey all finished well within the Audax time limit.